*If you just launched VCS, skip to Step 3. 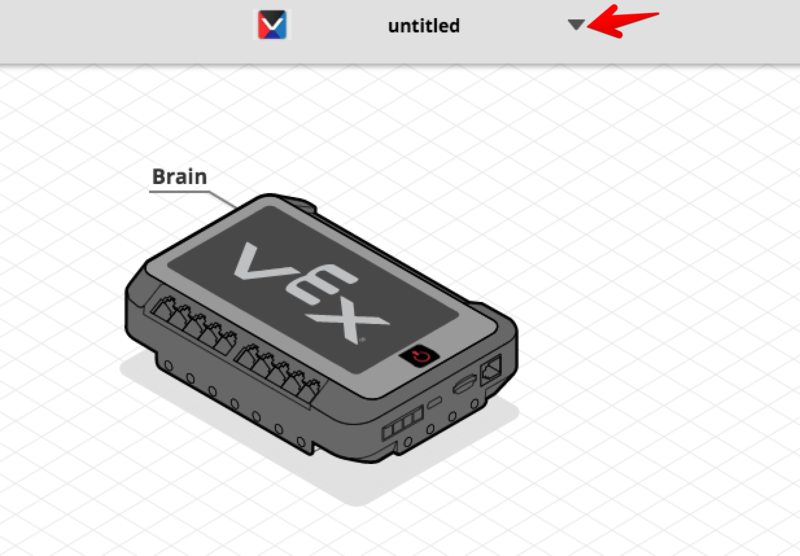 Step 1: While VCS is Opened, select a new programming language. Click on the downward facing "Expand Arrow". Step 2: Click on "New". Step 3: Select desired language. 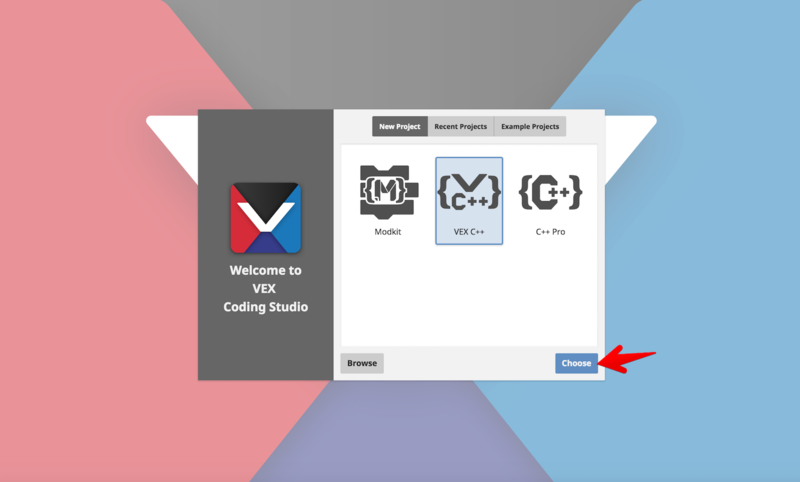 Select one of 3 programming languages by clicking on either Modkit, VEX C++, or C++ Pro.